Mixed grain wheat sheaves are a beautiful mixture of blond wheat, spray millet, wild oats (Avena), and linum (flax). 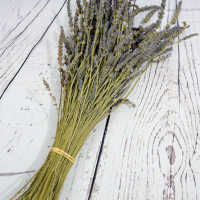 Gorgeous all on its own, the mixed grain wheat sheave makes a perfect centerpiece. 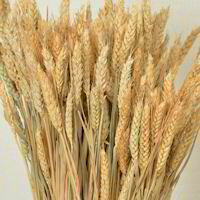 Immediately usable as a stand alone bouquet, the mixed grain wheat sheaf makes a quick and beautiful display. 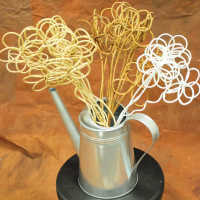 This bouquet also looks gorgeous in a vase or basket. Also consider matching this product to our Mixed Wheat Wreath made of the same materials. You could have your table centerpieces and wall wreaths match perfectly. Case option: Buy a case and Save Even More! Shipping: Cases of this product are made to order. Please allow 1 week extra for processing time. Mixed grain wheat sheaves are a beautiful mixture of blond wheat, spray millet, wild oats (Avena), and linum (flax). Gorgeous all on its own, the mixed grain wheat sheave makes a perfect centerpiece. 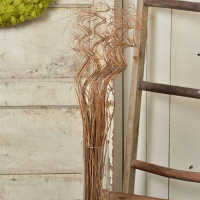 Immediately usable as a stand alone bouquet, the mixed grain wheat sheaf makes a quick and beautiful display. 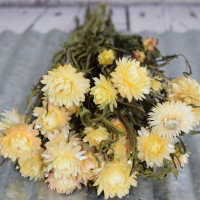 This bouquet also looks gorgeous in a vase or basket. All naturally grown, this beautiful mixed grain wreath brings the freshness and beauty of nature indoors. These mixed grain wheat bundles make a wonderful focal point for an occasion. Replacing the raffia ribbon with a silk or grosgrain ribbon makes this formal looking bouquet suitable for even the most elegant of occasions. 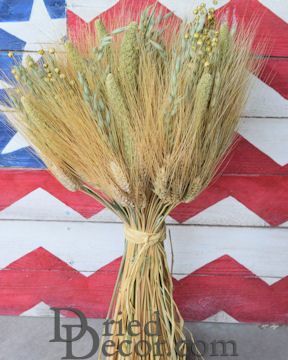 Whether decorating for a wedding, having a formal dinner party, just wanting to bring a bit of nature indoors, or going country chic, these mixed grain wheat bundles will fit the bill perfectly. Bring a mixed grain wheat bundle home today. 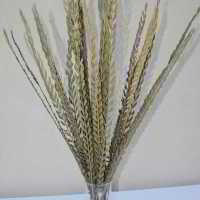 Also consider matching this product to our Mixed Wheat Wreath made of the same materials. You could have your table centerpieces and wall wreaths match perfectly. 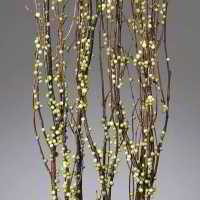 The arrangement arrived in good shape and was exactly as portrayed in the picture. I am glad I made the purchase. The package originally got misdirected but the person I spoke to on the phone was courteous and helpful and quickly made sure that my order was resent. Excellent customer service. Pictures did not do this bouquet justice. It was more beautiful than I could have imagined! I could not have asked for any better service. Very fast and efficient shipping, and wonderful communication. I will recommend you to everyone! Thank you so much! The wheat is awesome and for the price I am definitely happy with it! Service is great, each time I have called, my questions have been answered! Loved it! Looked exactly as it does online. Very pleased with it! This bunch is much larger than I expected it to be. It's beautiful! 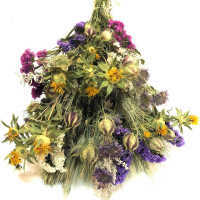 I have ordered all the centerpieces and bouquets for my wedding from your website. 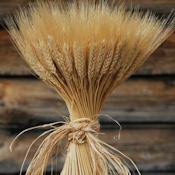 We love the natural and rustic look of the wheat and it adds so much authenticity to our viking wedding. 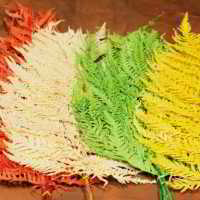 Adds a casual, native touch to our swags. 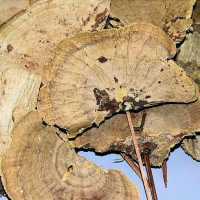 +Offering a product range which is difficult to find in such a spectrum of quality. Thank you. These are very pretty arrangements for our fall and thanksgiving table. Order was as described, probably even better. It was shipped well and quickly. A beautiful centerpiece - fuller than I thought it would be. Arrived in perfect shape. Exactly what I pictured. I will order from this company again! The bouquet was huge and looked great! What arrives in the mail, looks just like the picture. I ordered the large bouquet, which turned out to be a little more than I could fit into one vessel. Worked out perfectly since I could make couple more smaller displays. It was exactly what I was looking for, at a good price. Just what I was looking for. Came well packaged with no damage. Thanks.